THIS JUST IN! If you order a yearbook this year, you will get it the last day of school instead of the following school year like in the past! 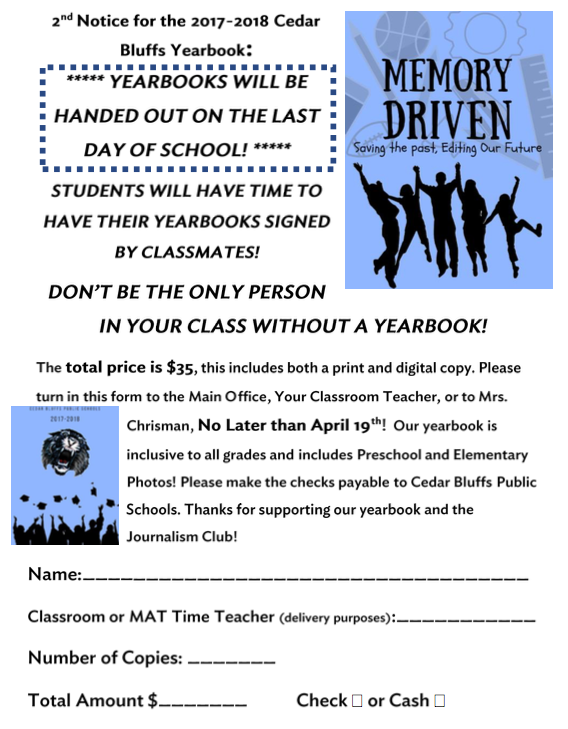 Students will be able to have other students sign their yearbook this year on the last day of school instead of having to wait! MAKE SURE YOU GET ONE PURCHASED! !